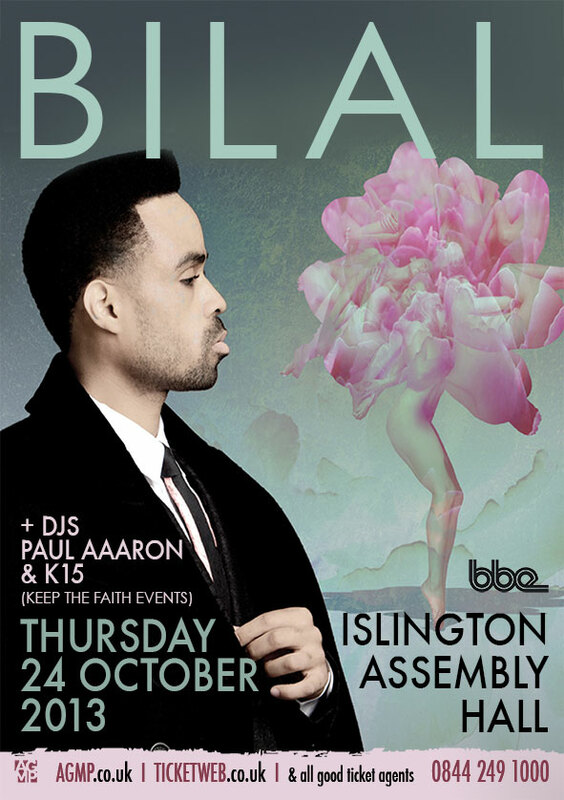 * Competition – Win tickets to this event – to enter email: info@keepthefaithevents.com requesting to join our mailing list. Winners will be notified by email earlier in gig week. (IAH, N1 is next to Islington Town Hall). Tagged 1990s, 2013, 4Hero, 9th-Wonder, A-Love-Surreal, ACID-JAZZ, Acoustic-Soul, Adrian-Gibson, Afro, Afro-Hair, AGMP, All-Matter, Badu, BBE-Recordings, Black-Radio, Blog, Blogger, Blogging, Blue-Note-Recordings, Brandy-Moesha, Breaking-News, Camden-Town-NW1, Clubbing, Community, Dilla, DJ-Kay(K15), DJ-Paul-Aaaron, E1, E1-Music, E1Music, Eric-Roberson, ERYKAH-BADU, ErykahBadu, Events, Floetry, Flying-Lotus, GILLES-PETERSON, GrooveLineage.Com, Highbury, Highbury-Corner, HIP-HOP, Hip-Hop-Breaks, Hip-Hop-Jazz, Hip-Hop-Samples, HIpHop, IAH, IAH-London-N1, IMPROVISING, Interscope-Recordings, Islington, Islington-Assembly-Hall, Islington-Town-Hall, J Dilla, Janelle-Monae, Jazz Bailey, Jazz-Cafe-London, JAZZ-DANCE, Jazz-Funk, Jazz-Poetry, JAZZCAFE, JazzReFreshed, Jill Scott, Jose-James, JSoul, Julie-Dexter, K15, Kaidi-Tatham, Keep-The-Faith, Keep-The-Faith-Events, KEEPTHEFAITH, KeepTheFaithEvents.Com, KeepTheFaithful, KeepTheFaithFul.Com, KTF, Listings, Little Brother, LIVE, Live-Entertainment, Live-Instruments, London, London-Soul-News, Lounge, Mar, Marsha-Ambrosius, Music, Music-Lounge, Musiq-Soulchild, N'Dambi, N1, Neo-Soul, Neo-Soul-1st-Saturdays, Neo-Soul-Club-Night, Neo-Soul-Gigs, Neo-Soul-Info, Neo-Soul-London, Neo-Soul-London-Night-Club-Events, Neo-Soul-Lounge, Neo-Soul-Releases, NEO-SOUL-World-Wide-Live-Series, NEO-SOUL-WORLDWIDE-LIVE-SERIES, NEO-SOUL-WW, NeoSoul, NeoSoul-Events-In-London, NEOSOUL1stSATURDAYs, NEOSOUL3rdFRIDAYs, NEOSOULWW, New-Music, New-Release, News, Night-Club, NS1S, Nu-Jazz, Nu-Jazz-UK, Nu-Soul, NUSOUL, NW1, Odd-Future, Oddisee, OKAY-PLAYER, Omar, Omar-LyeFook, On-Sale, P-A, PA, Paul-Aaaron, PaulAaaron, Platinum-Pied-Pipers, PPP, QTip, Quest-Love, R&B, Radio, RareSoul, Recommended, Revival-Music, REVIVALIST, Robert-Glasper, Robert-Glasper-Experience, Ronnie-Scott's-Jazz-Club-London, Ronnie-Scotts, Slow-Jams, SlowJams, Soul, Soul-Events-M25-UK, Soul-Events-South-East-England, Soul-Sista, Soul-Survivor, Soulful, Soulful-Hip-Hop, Soulful-House, Soundcloud, Stage, Stalls, Stones-Throw-Records, Syd-Tha-Kyd, THE-FOREIGN-EXCHANGE, The-Neutronics, THE-ROOTS, therealDWELE, Ticket-Sales, Trip-Hop, UK, UK-SOUL-JAM, Uncategorized, Upper-Street, Vinyl, Website, West-End-Of-London, What's-On, Whats-On-In-London, ZO!